theZoomer: Television For Boomers With Zip! Poll: PC Party Would Win Ontario Premier Race, Despite Doug Ford's Iffy Popularity - theZoomer: Television For Boomers With Zip! 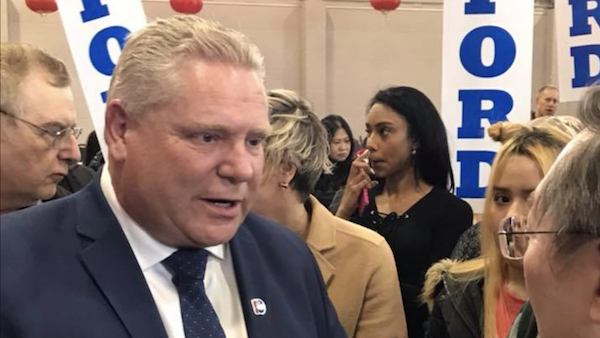 Over the weekend (March 10-11), the Ontario Progressive Conservative Party officially named Doug Ford its new leader. After numerous voting issues delayed his appointment, we now know who will be leading the PC Party into the June 7 provincial election. 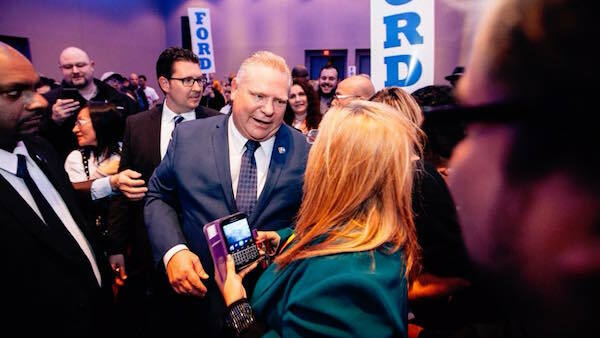 In the wake of this news, a poll by Forum Research looked into how Ontario voters (923, to be precise) view Ford, as well as which party currently has the edge going into the aforementioned election. 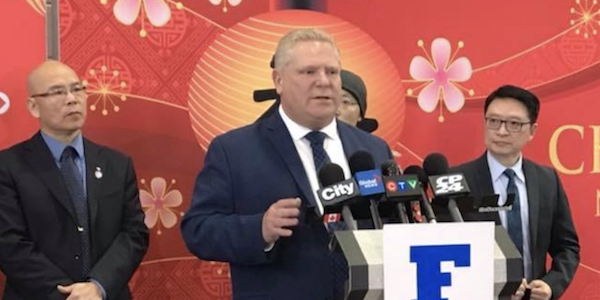 Those who approve of Ford are already PC supporters (67%), while the 35-44 and 45-54 age demographics (41%) are the ones in which he has the most support from. On the flip side, 73% of those who support the Ontario Liberal Party are against Ford, with the 55-64 age demographic (53%) most likely not to vote for him. Interestingly, Forum Research concluded if Ontario had held a provincial election on Sunday, March 11, the PCs would’ve secured 44% (84 seats) of the vote. Meanwhile, the NDP would’ve secured 27% (29 seats), with the Liberals coming in third with 23% (11 seats). Earlier this month, Elections Ontario launched Provincial Voter Registration Month, an initiative that’s goal is to promote a new online tool designed to simplify the registration process for Ontario voters. Click here to learn more about that. On a recent episode of “theZoomer,” host Marissa Semkiw and those at the roundtable discussed whether or not political correctness is on the decline. You can watch this episode below.